The domain is surrounded by the vineyards of Gigondas, from where you can admire the village and the famous Dentelles de Montmirail. 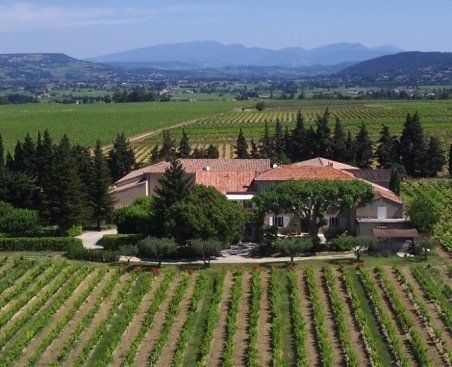 The estate is situated on the plateau of Gigondas ; the domain has an area of 25 hectares, divided as follows : 11 hectares of Gigondas, 3 hectares of Vacqueyras, 2 hectares of Sablet Villages and 9 hectares of Côtes-du-Rhône. The vineyard is located on a clay and limestone soil and planted with vines having an average of 50 years. Manual harvest and the wine matures in tanks.